I’ve been shooting local competitions for a few months now, and I just had an equipment failure that I thought I’d document and share. Yes it happened. And since I believe the internet is a forum is about sharing the good and bad to help everyone I felt obligated to embarrass my self as a lesson to others. But it is not what you thought when reading the headline. My CANIK firearm functioned and loaded and fired just fine, still no FTE, Stovepipe, or other firearm issues, no accidental discharge, injuries, or safety issues.. So what happened? First 5+5 string went well, about 5.5 seconds, not the fastest time, but passing. And I swore I was going to do the reload faster on set #2, and remember to not reach to release the slide lock lever (since I didn’t run dry and lock open). Then the wheels fell off the bus, pulled the holster and I stared stupidly at the gun in my hand with the holster still attached, I tried shaking it loose for several seconds and finally realizing I had to brush it off with my other hand while hitting the release. Then I got back to shooting and I ended up with 13 second time on part 2, killing my total score for the stage. 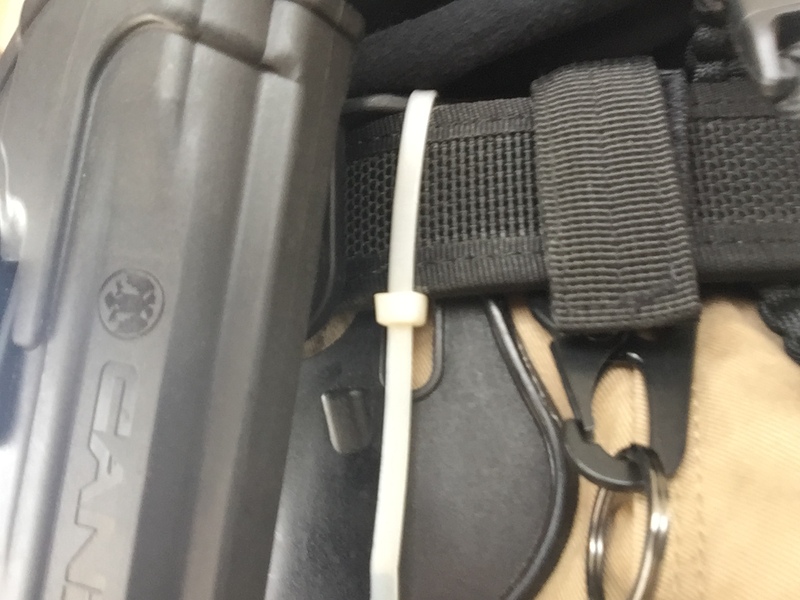 Moral – get a better holster if you want to compete, or at least check out the image below and attach it to the belt better (good thing I always have a couple Zip-ties in the bag).